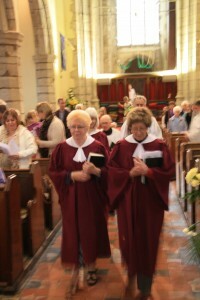 We are very lucky that we still have a church choir, which sings for the 10am service for two Sundays each month. If you are interested in joining the choir then no previous experience is necessary, just an enjoyment of singing and a willingness to ‘have a go’. Practices are held mostly on Monday afternoons at 2pm and about once a month on a Sunday morning at 9.30a.m. for about twenty minutes, prior to our 10am service. 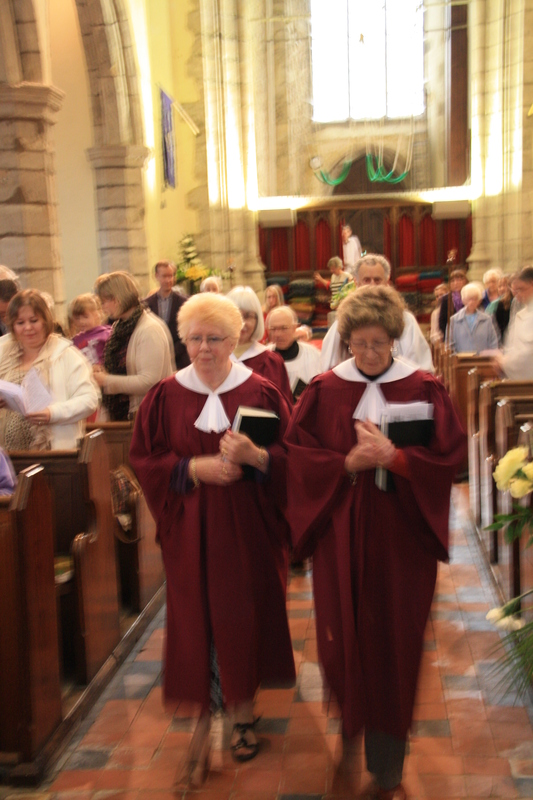 Choir members do not need to attend on a Sunday by Sunday basis, but are welcome to come along as and when they can. 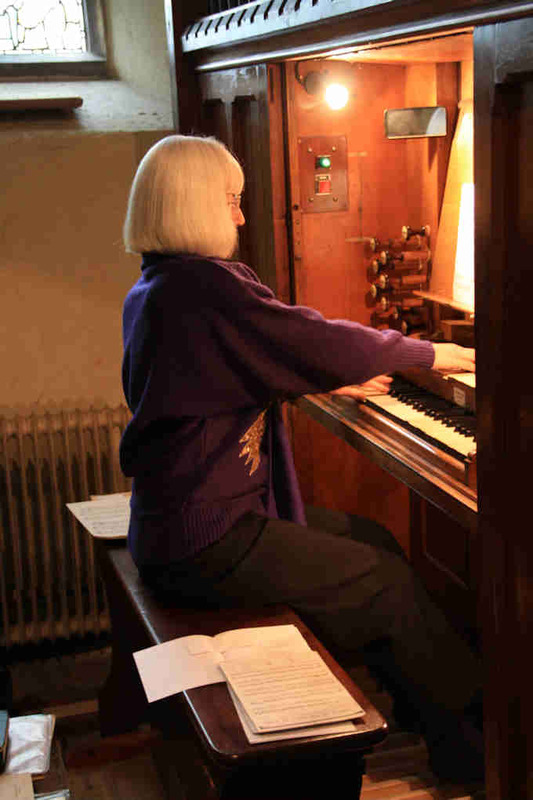 Our Church is affiliated to the Royal School of Church Music (RSCM). Singers and instrumentalists are always welcome since we encourage live music in our church. Our organ is a two manual instrument, built by T. Hopkins and Son of Heworth, York and installed in the 1880’s. It was restored in 1985 and is maintained on a regular basis by Martin K. Cross, Organ Builders, of Grays, Essex. We have six bells in our bell tower and our team of bell ringers meet for practice on the third Wednesday of each month at 8.00pm. The first mention we have of bells at Shorne Church is in legacies at the end of the 15th century. In 1491 John Page, an important local squire who left money for a number of good works in the village, and was a member of a family that was associated with the village and the church for two hundred years (a Page was one of several Shorne men that was pardoned for taking part in Jack Cade’s rebellion in 1450) also left money ‘for a nu bell’. As this was relatively soon after the tower was built it is likely that this is a reference to the first bell. A few years later in 1495 Thomas Page, who also provided the parish with a new vicarage, gave money ‘to bying of a great bell’. This project, which was very costly, was also supported by a legacy from John Hawke in 1496. The ‘Great Bell’ seems however to have been defective as in 1521 Richard Carslake gave yet another legacy ‘to the amending of ye grete bell of Shorne’. Four other bells were added later, making a total of six, but unfortunately we do not have details of when and how they were funded. All were taken down and re-cast in 1803 and these re-cast bells are still in use today by our team of bell-ringers who maintain the tradition of ringing them on special occasions.